Dominant manufacturer DJI introduced its first crop-spraying agricultural drone, an octocopter, last November. Young’s suggestion that drones may flip the airspace system itself on its head was lighthearted, but the point was not lost on his colleagues. In a presentation to the committee, Earl Lawrence, director of the FAA’s Unmanned Aircraft Systems (UAS) Integration Office, said the number of new registrations filed for recreational and commercial small drones was unprecedented in the agency’s experience. 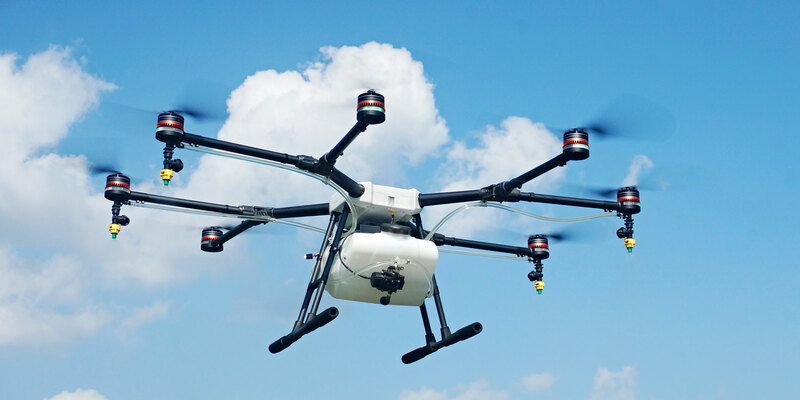 Nine months after its on-line drone registry went live in December 2015, 550,748 hobbyists had registered to fly one or more drones apiece (the FAA estimates three)—more than double the nation’s 260,165 registered manned aircraft. That comports with what Brad Hayden, president and CEO of Albuquerque-based Robotic Skies, has observed of the emerging commercial industry. Hayden, who is also the president of Kings Avionics, a private pilot and a first-person-view drone pilot, has organized a worldwide network of 130 service centers capable of repairing and maintaining commercial drones. He is moderating a panel, “The Nuts and Bolt of Operating a Corporate UAS Operation,” here at NBAA 2016.